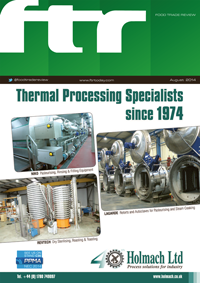 This article entitled: “Seaweed in Food Manufacturing” from our friends at Meridian Sea Ltd should provide some answers and some ideas for new products. See the full article in our media library. 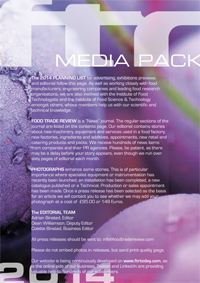 Adrian Binsted, Editor, Food Trade Review. My post on the plight of the brown bears in Northern Canada and the Russian Tundra drew over 800 comments via social media and our website within the first month. Some readers re-tweeted the comments on Twitter resulting in a small but growing number of people who have decided not to use pine nuts in their salads anymore nor to east pesto sauce. It appears from my research that the global uptake of pine nuts for food for human consumption is about 100,000 tonnes a year. It sounds a lot, or rather it sounds as though millions of people must use and consume Pesto sauce and indeed millions of people must eat Pine nuts on their salads. I am sure that there is an alternative source for these nuts and indeed readers will undoubtedly make suggestions of alternative homemade sauces and their commercially available equivalents.